Lyft is moving ahead with tests of the All-Access plan, a monthly subscription service for rides through the Lyft platform. 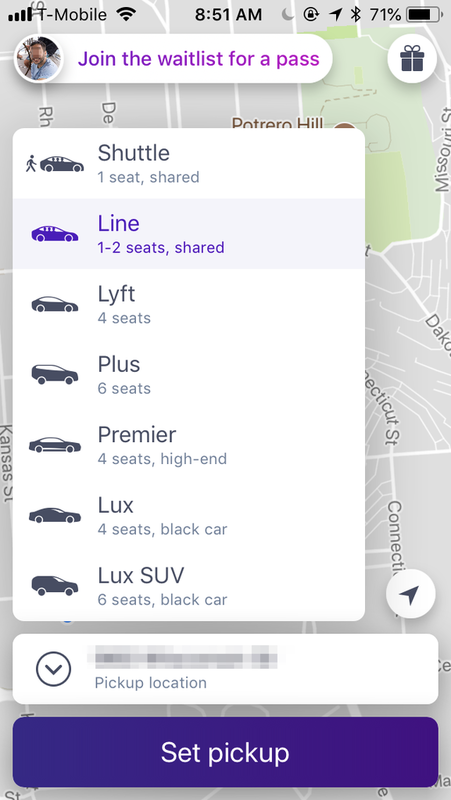 In the next couple of hours, a select group of riders will see an option to sign up for a waitlist to be part of Lyft’s next round of All-Access invitations. If selected from the waitlist, you’ll be able to buy a $200 pass in order to get $15 off 30 rides. That’s a savings of $250 if you were to take 30 $15 rides a month without the plan. Lyft isn’t disclosing the exact size of the test, but it’s going out to passengers nationwide. This comes after Lyft began testing some plans in March that cost $399 a month for 60 rides and $199 upfront for 30 rides worth $15 per ride. Earlier that same month, Lyft CEO Logan Green said the company was moving in a direction to achieve for transportation what Netflix achieved for entertainment.